PC gamers can be very particular with their equipment. And now that mobility has become such a big deal nowadays, portability has become one of the features that gamers are increasingly looking for. That is why there is now a surge of gaming laptops in the market. 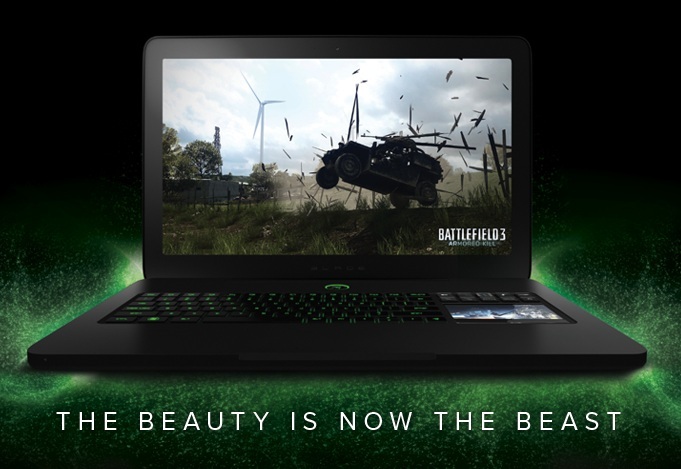 One of the newer ones to get into the fray is the Razer Blade Gaming Laptop. The Razer Blade Gaming Laptop recently introduced at PAX Prime is the next generation gaming laptop under the Razer Blade line. While other gaming laptops today still feature a bulky form profile, this new Razer Gaming laptop boasts of a profile now comparable to that of an ultra-portable. The new Razer Blade is designed to provide the ultimate gaming performance and yet defies convention by remaining amazingly thin. The new Razer Blade may be setting the tone for the next generation of ultra-thin gaming laptops. It is expected to come out in the North American market by the end of September. The new Razer Blade is expected to retail at around US$2,500.